Experience all that Vermont has to offer. Located in the Lake Champlain Valley and bordered by the Adirondacks to the west and the Green Mountains to the east. Thriving downtowns of Middlebury, Bristol and Vergennes and picturesque villages such as Lincoln, Shoreham, or Starksboro remind you of simpler times. 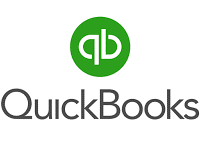 Optimizing QuickBooks: Make the most of quickbooks with this hands-on seminar. The class is designed for people who are completely new to small-business accounting, quickbooks, and who wish to get more out of their bookkeeping with a little less effort. Space is limited to 20 people. Get updates on tourism activities, special events, lodging packages, and more.